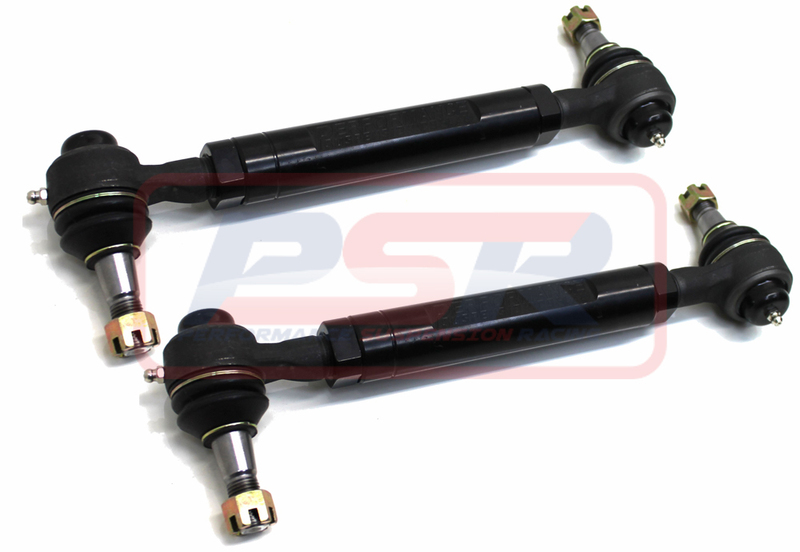 PSR's Nissan Navara D22 Ultra duty tie rod system is a total re-design from factory. The OE tie rod end has a small 14mm male connecting rod which connects the inner and outer joints together. Under side loaded impact this bends! Common in the aftermarket industry this shaft is increased in size BUT the 14mm female OE design tie rod end is re-used, meaning the shaft still fails under impact. Our system runs a completely custom forging to allow a female connecting tube to be used, this massive 32mm diameter CNC machined tube is guaranteed never to break! 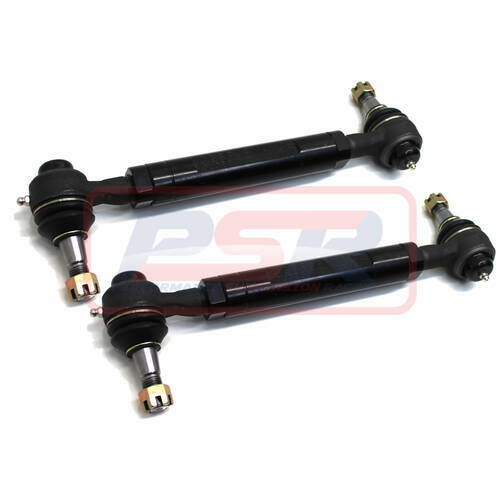 Tie rod ends are greaseable and feature a reduced spindle height above the drag link to increase clearance to the chassis and can be purchased individually when wear and tear warrant replacement.